Our lead captain, Bill Cavanaugh, started his sportfishing career in Ventura, California fishing the famous Channel Islands. Bill obtained his USCG 100 ton Masters license in 1991 and has been operating sportfishing boats ever since. In 1996 Bill was hired on to run the long range sport fisher Excel for Captain Bill Poole. Bill gained irreplaceable experience working for Bill Poole during his seven years of employment with the Excel. Bill has been with the Intrepid for just over 5 years and has consistently put together some impressive catches. 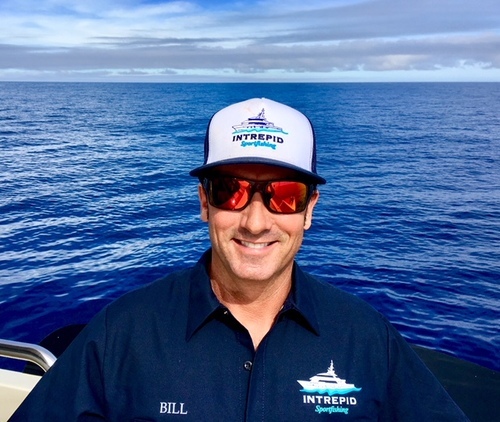 With fishing experience from Morro Bay, California to the Clipperton Atoll, Bill brings a wealth of knowledge and leadership to our operation. 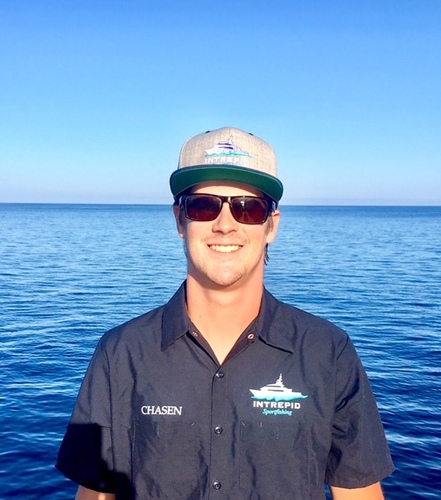 Sam Moore started his sportfishing career as a pinhead working under Captain Bryon Bingham aboard the charter boat International Star back in 2003. 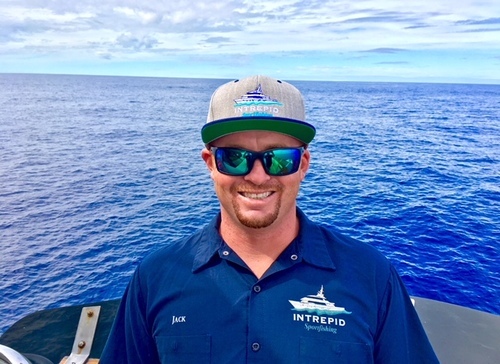 From there, Sam worked for a time with Captain JJ Gerritson on the Apollo, a few years on the Shogun with Captain Norm Kagawa and has been with us on the Intrepid since 2012. 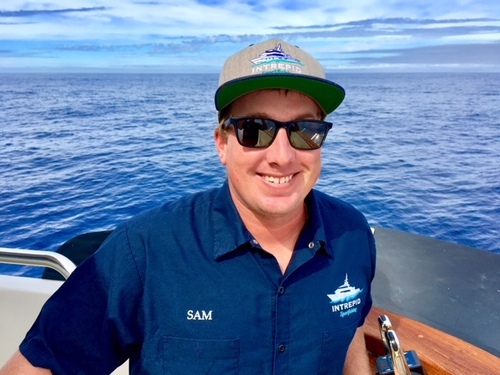 Sam obtained his USCG 100 ton Masters license in 2014 and ran his first trip aboard the Intrepid in the summer of 2016. Sam posses a number of great quality’s including a good work ethic, dedication and responsibility. Sam is a natural fisherman and this attribute is seen on all of his trips. Sam brings a quiet confidence and leadership to our operation. 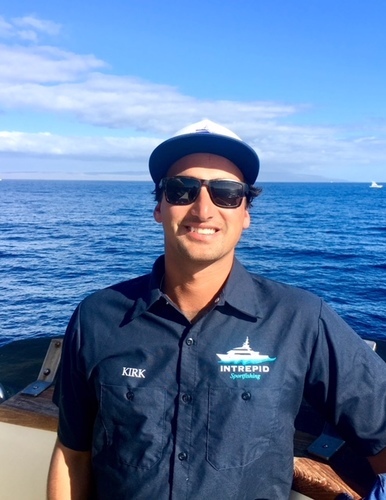 Long Beach native Chad started in the industry in 2006 while helping build the Intrepid and is an important part of the Intrepid Team. Chad recieved his USCG 100 Ton license in 2011. When fishing or spirits are low you can count on Chad to liven things up. 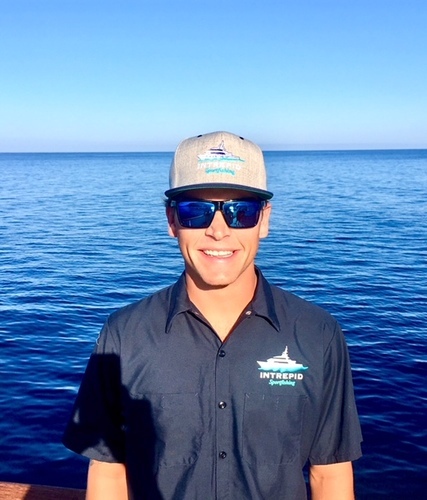 Jack started his fishing career in the summer of 2010 aboard the 3/4 day boat Fisherman III. 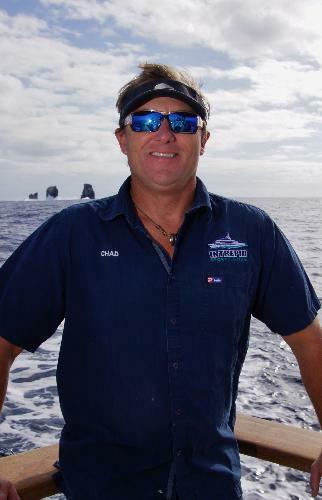 From there, he worked on the half day boat Premier with Captain Tim Green from 2014-2016. 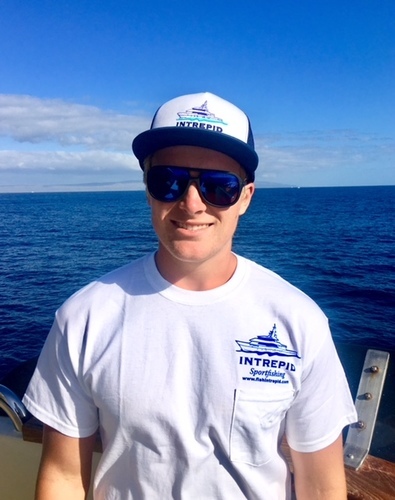 Jack joined the Intrepid team in 2016 and has matured into one of our lead crewman. He is a natural waterman and a great fisherman. Jack is definitely a go to guy when you are hooked up to a good Fish. Brian started working as a chef in 2010 and has been our head chef on the Intrepid since the beginning of our 2017 season. His experience in kitchens ranges from Phil’s BBQ, Cafe 21, to Donovan’s Steakhouse. Brian has taken his culinary skills and refined them to make his own signature style. 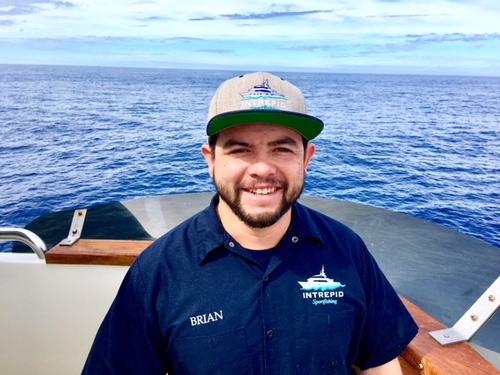 From perfect prime rib, incredible wahoo piccata, to rack of lamb, Brian continually makes the food experience on the Intrepid very memorable. Travis started working on sport boats in the summer of 2012 on the half day boat Sum Fun out of Dana Point. He then worked on the overnight boat Fury for 2 years beginning in 2015. 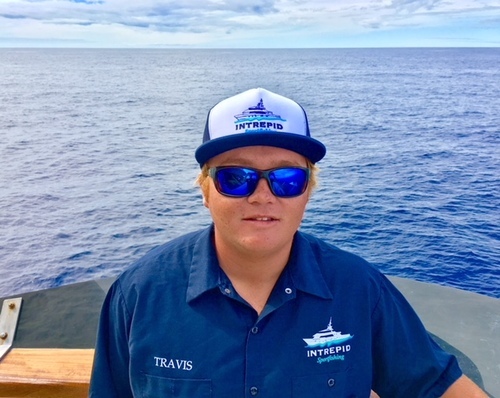 Travis obtained his USCG 100 ton Masters license in the winter of 2017 and joined the Intrepid team in the summer of the same year. Travis brings a youthful energy to our team that is always a joy to be around.